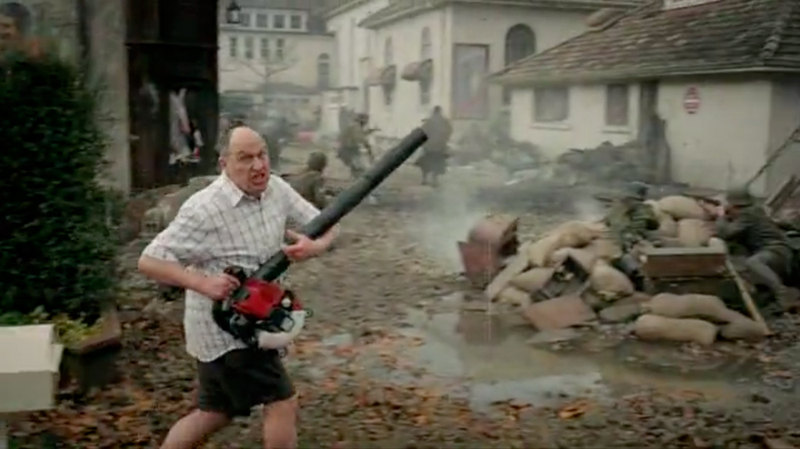 The CAANZ (Communication Agencies Association) Axis Awards named Sky’s Leafblower commercial as New Zealand’s best TV ad of the year. 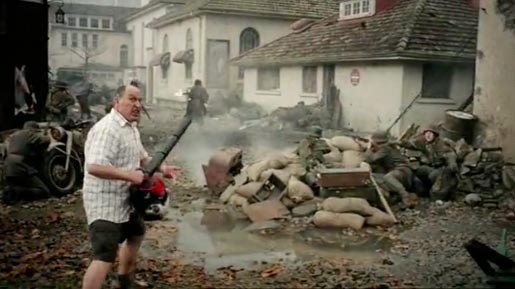 If you thought your neighbour was a pain in the arse with his Leafblower, spare a thought for the WW2 German soldiers, fishermen, fashionistas, vampires and everyone else whose worlds are turned upside down by our hapless hero’s seamless path of destruction in SKY’s new Leafblower spot from DDB New Zealand. The ad, created by DDB NZ and filmed by director Nathan Price, won awards for best single TV commercial, visual craft, and directing. The Leafblower ad was developed at DDB New Zealand, Auckland, by executive creative director Toby Talbot, head of art Dave Brady, head of copy Paul Hankinson, copywriter Joe Hawkins, executive agency producer Judy Tompson, agency producer Kim Baldwinson, account director Danielle Richards and account manager Brad Armstrong, working with Sky Television marketing manager Mike Watson. Filming was shot by director Nathan Price via Capital City Films, Wellington, with producer Julie Elstone and director of photography Ginny Loane. Post production was done at Perceptual Engineering, Auckland by Flame artists Jon Baxter, Matt Elin and Mike Robinson, with 3D animation by YukFoo. Sound was designed at Liquid Studios.